The Tánaiste Michael McDowell has said the Taoiseach, Bertie Ahern, was guilty of a serious error of judgment in accepting personal payments, and his actions warranted today's apology to the Dáil and the Irish people. But the PD leader said that the controversy did not render Mr Ahern unfit for office, and it would fly in the face of reason for the PDs to withdraw their support. Mr McDowell was speaking after a meeting of his parliamentary party this evening. Today the Taoiseach apologised to the Dáil for what he said was a misjudgement in accepting money from friends and a group of Manchester-based businessmen in the 1990s. 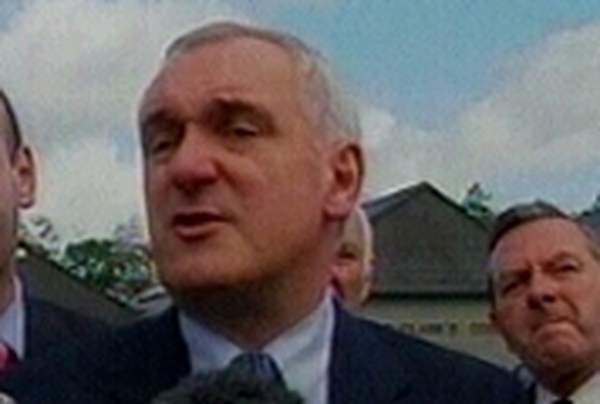 However, Bertie Ahern said he was not in breach of any law or code of conduct at the time. But he said he now regretted the choices he made. He added that he would not have taken the money if he knew the bewilderment it would cause all these years later. Recalling the Manchester Payment of 1994, he said the IR£8,000 was given in the context of his family difficulties, and there was no quid pro quo. Mr Ahern can only recall with certainty three of the 25 people who were in Manchester at the event where he got IR £8,000, They were: John Kennedy, Tim Kilroe and Senator Tony Kett. Mr Ahern said again this function was in his capacity as an individual and not as a minister. The Fine Gael leader, Enda Kenny, has criticised Mr Ahern's statement, saying it was a bad day for accountability. Labour Leader Pat Rabbitte asked the Taoiseach why it would be wrong for a civil servant to take money at a function but it was not wrong for the Finance Minister of the day to take IR£8,000. He said by any standards it was wrong and a civil servant would have been sacked for taking money. He also asked how Mr Ahern saved IR£50,000 when he did not have a bank account in his own name, and he asked if he had that money, why did he need to take out a bank loan. He wanted to know why an NCB cheque was used to draw down some of the money given to Mr Ahern in 1993, when it was supposed to have come from friends. 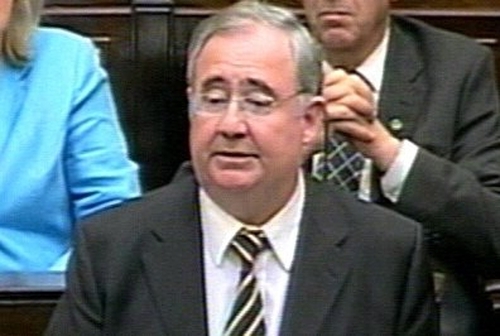 Earlier, the Taoiseach's spokeswoman confirmed that the Tánaiste Michael McDowell received a copy of Mr Ahern's script before the Dáil session. The two leaders met this morning and are thought to have discussed the statement. RTÉ News today confirmed the identity of another businessman who attended the Manchester meeting where an £8,000 payment was made to Mr Ahern in 1994. Mr Ahern was Minister for Finance at the time. Míchéal Wall, originally from Cong in Co Mayo, said that Mr Ahern was not aware that a collection for him was taking place at the Four Seasons Hotel until the money was presented to him. Mr Wall said the money was a 'goodwill gesture' and that there was no political element to the payment. He also said that several of the people who attended the meeting had since passed away. Mr Wall said that he had nothing to do with organising the collection, and was at the meeting in a business capacity. He owned a coach hire business in Manchester at the time of the meeting and has been living in Manchester for the past 47 years.